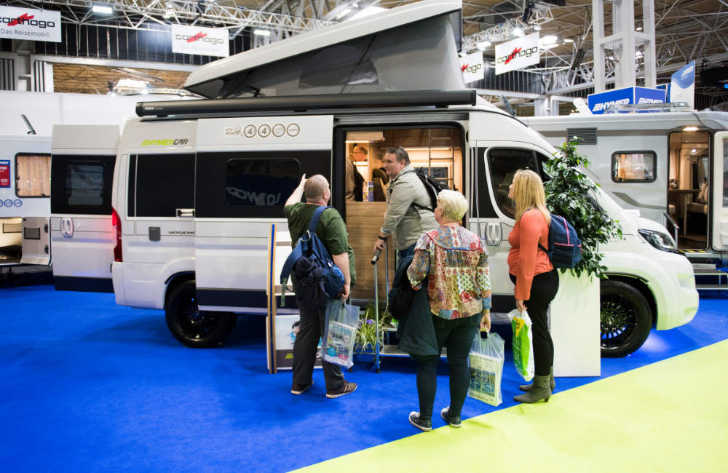 Returning for 2019, the Caravan, Camping and Motorhome Show will fill five halls and is set to welcome more than 90,000 people to the NEC over six days, from 19-24 February. Visitors will be able to view the UK’s largest display of caravans, campervans, motorhomes, caravan holiday homes and lodges, tents, awnings and accessories in one venue. A highlight of the 2019 show will be the brand-new Bear Grylls Adventure feature area which will give visitors of all ages a chance to test their physical and mental strength by taking on a series of exhilarating challenges. Furthermore, this feature is based on the activities available at the new Bear Grylls Adventure theme park that opened recently at the NEC. A returning favourite to the Caravan, Camping and Motorhome Show is the Top Dog Arena. Here visitors can take a break from exploring the show to enjoy some amazing canine agility demonstrations. Celebrity spaniels Max and Paddy, along with the new addition to the family, puppy Harry, and owner Kerry Irving, will be making a special appearance on Saturday 23 and Sunday 24 February. Max and Paddy have become an internet and social media sensation since 2006 when Kerry started sharing their adventures. Other family-friendly activities include the popular skating rink, toboggan slide and climbing and bouldering walls, guest speakers and live cookery demonstrations – above all you’ll also have the chance to win some huge prizes! Tickets are available here. For further information, visit www.ccmshow.co.uk where the latest exhibitors, celebrities and features will be updated regularly. Win tickets to the show courtesy of Go Camp France by visiting our competitions page. The competition is completely FREE to enter to all UK residents and all you have to do is to like our Facebook page and share the post. To find out more head on over to our competitions pages.